Business to Business companies rely heavily on salesperson performance for commercial success and therefore motivation of salesperson is essential for success. The KISS Theory: Salespeople by nature are like electricity. They naturally take the path of least resistance. That's not to say they are lazy or untoward. In fact, it's just the opposite. A poor motivated Salesforce and highly motivated Salesforce can make a huge difference to overall sales performance. The most common perspective among Salesperson is that they want to earn what they deserve and they respond favourably to incentive schemes. Incentive Schemes can also drive the overall strategy of company however devising a incentive scheme is a complex process. It involves investment, product segments, geographies, legal environments, market potential, no. of salesperson, culture considerations. 1. 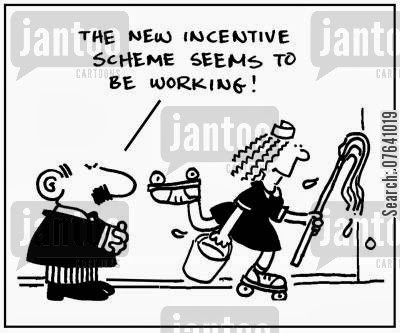 Incentive Schemes are not communicated in a right manner to sales team especially Pay out pattern. 2. 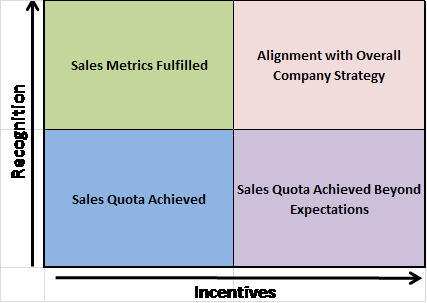 Determining Sales incentives only on Market Potential & Historical Data and ignoring seasonal challenges, operational and commercial capabilities of organisation. 3. Incentives are not in aligned with overall strategy of company. For instance to drive a specific product or service. 5. Failure to include all the sales metrics to calculate incentives. E.g. Ø Pay-out Patterns shouldn’t be disclosed to Customers. Customers can employ delay tactics to grab maximum discounts. 6. Marketing departments too will have a view on what is realistic and should be invited to participate. 9. Evaluate and assessment the impact of Sales incentives on corporate performance is very important. Here Cost-benefit analysis is essential tool to make right adjustment to schemes.